Tidy up your favorite bookmarks! Organize your favorite links as live thumbnails instead of trying to work through plain-text links. Open, delete, move, resize and update bookmarks in a single click. Conveniently use the same set of favorites and the same convenient user interface in all of your browsers - IE, Firefox, and Opera! Too many bookmarks make your favorite links harder to navigate than firing up a search. Hundreds and hundreds of text-only favorites look exactly the same, cluttering your browser and becoming less and less usable with every new addition. Tidy up your links! With Tidy Favorites, you can now organize your bookmarks in a totally new fashion. Imagine how a Mac would do things - only Tidy Favorites does it better! Your favorites are conveniently organized as a set of live site thumbnails, but that hardly describes the convenience Tidy Favorites adds to your everyday life. Add, delete, copy and move favorite links with a single click. Tidy Favorites gives a complete freedom of what you can do to the links and their thumbnails. Select any part of a page to become a thumbnail - and see groundbreaking news, weather or stock quotes every time you open your favorites. Hard to see the small print? Just click and drag to resize any thumbnail, making the really important links appear bigger as in tag clouds. Intuitively organized and custom-tailored to suit your needs, Tidy Favorites set a new standard in usability. Find a bookmark by quickly glancing through the list of Web shots, or search through your favorites from the browser's command line. With Tidy Favorites, you are not limited to any one browser - take your bookmarks with you and use them in IE, Firefox, and Opera at the same time! alternative to the standard 'Cookie Manager' provided by Netscape and Mozilla. Firefox Master Password recovery. Firefox Logins and Passwords recovery. Save and manage your internet bookmarks easily. Jump to web sites with hotkeys - fast and easy. Organize your bookmarks/favorites and logins securely and conveniently. 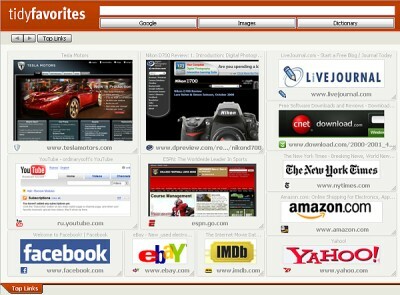 Displays the details of cookies and list of all URLs that you have visited. ArtIcons 5.49: You can create, edit, import, export and find icons and manage icon libraries HDD Regenerator 2011: HDD Regenerator repairs bad sectors on hard drive surface. Fast RM to MP3 Converter 4.2.587: Convert RM, RA, RAM, RMVB, to WAV, MP3, OGG, APE or WMA Smart DVD Creator 15.4: Easily burn quality home movie DVDs, VCDs or SVCDs from popular video formats.